Is someone else's problem your problem? If, like so many others, you've lost sight of your own life in the drama of tending to someone else's, you may be codependent--and you may find yourself in this book--Codependent No More.The healing touchstone of millions, this modern classic by one of America's best-loved and most inspirational authors holds the key to understanding codependency and to unlocking its stultifying hold on your life. Melody Beattie is the author of Beyond Codependency, The Language of Letting Go, Stop Being Mean to Yourself, The Codependent No More Workbook, and Playing It by Heart. Melody Beattie is the author of numerous books about personal growth and relationships, drawing on the wisdom of Twelve Step healing, Christianity, and Eastern religions. 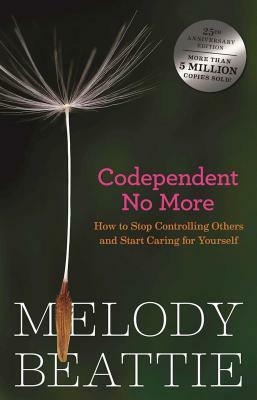 With the publication of Codependent No More in 1986, Melody became a major voice in self-help literature and endeared herself to millions of readers striving for healthier relationships. She lives in Malibu, California.